← Shoes on the wrong feet? Try this trick. If you read my post “boys bedroom furniture makeover”, then you learned a little bit about my neighborhood. I ended up in my friend and neighbor Kristy’s backyard. We were chatting on her new swing watching the kids play. She asked if I wanted to see her daughters room makeover. Of course! 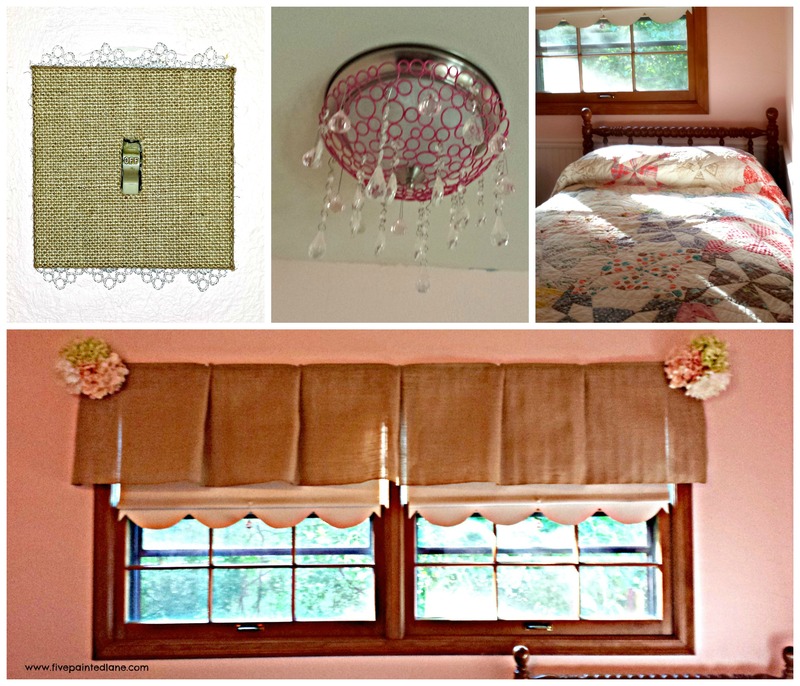 I wanted to share it with you because I like how she incorporated a little burlap into the sweet pinkness of the room. No sew valance? How about no cutting, no sewing? It’s a table runner! How brilliant is that? 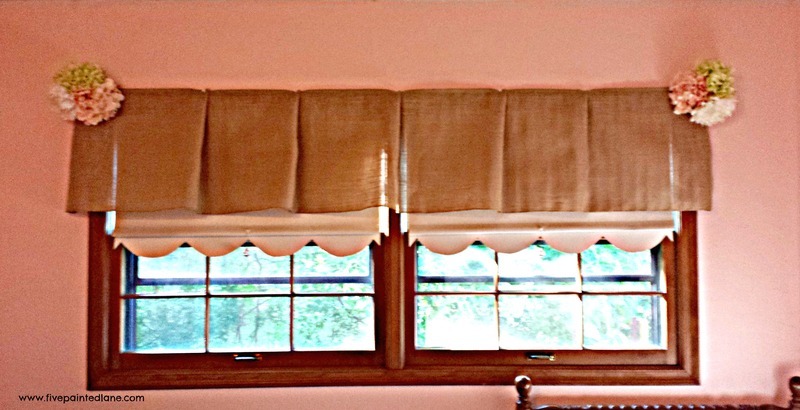 The rolling shades were there when they bought the home and work well. They are the white vinyl popular kind. Well she scalloped the ends and added a little glass bling pull. She put up the table runner with these push pins. They are easily found and come in the package with all these colors and she used only the white pins. She made a few pleats and hung those cute pom flowers on the corners. Now let me tell you about her light fixture. 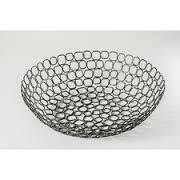 Her mom asked if she wanted this decorative bowl. Kristy being smart said yes because it was pink and cool. She knew she could think of something to do with it. Here is a photo of a similar one. Now lets take a look at what she did with hers. 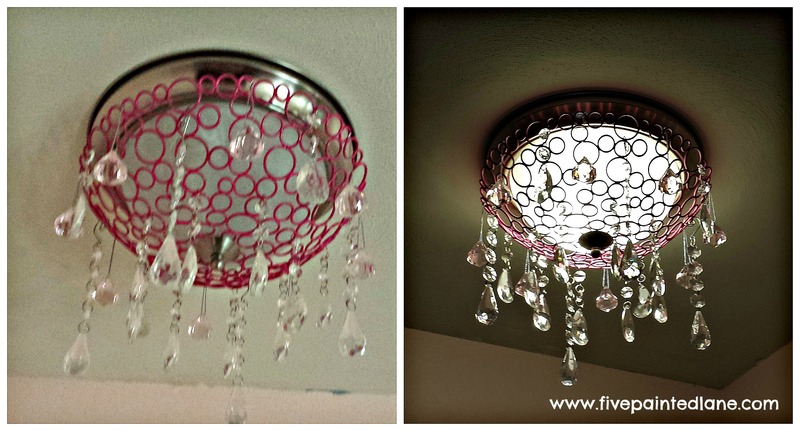 She hung it right over the top of the existing light fixture. She used the same screw that comes with the light, the metal was thin enough that it still worked. Then she added clear crystal bling. So simple and it went from boring to glamorous. So here are a few more details of the room. 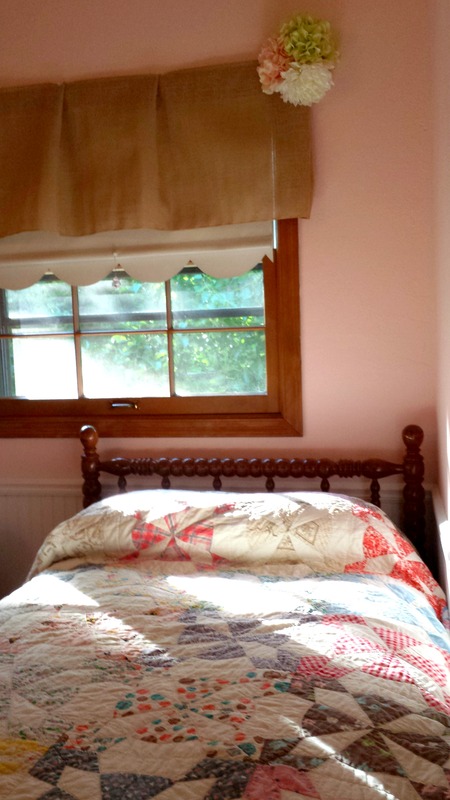 A darling quilt covers the bed. 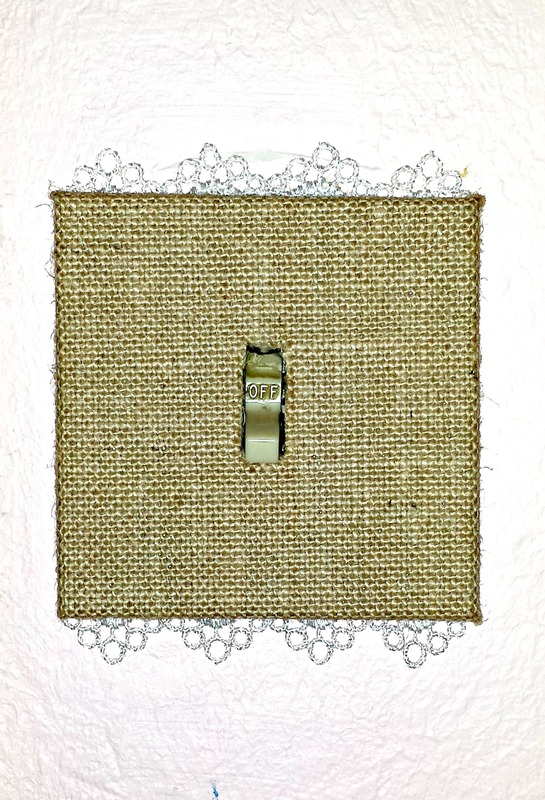 A switch plate gets a charming mix of burlap and lace.